Johnny Sexton says the younger players in the squad don’t need any extra support following the opening game defeat and says extra meetings were held in camp to iron out the mistakes made against England. Gregor Townsend’s Scotland are bidding to condemn Ireland to a second successive defeat and with home advantage, club rugby on a high, and a good win over Italy under the belt, they will be confident of turning over Joe Schmidt’s side. The New Zealander has changed a third of his team for the Murrayfield clash through a combination of injury and form and while the out-half will win his 79th cap, he says the hurt is every bit as strong for him as some of the more younger players in the squad. "I don’t think the number of caps that you have matter, it hurts no matter what," he told RTÉ Sport. "It’s about taking the feedback from the coaches, where things went wrong, where we need to get better, blocking out the noise and moving on. "You don’t become a bad team overnight, but you have to realise when we were winning last year we were talking about all these small margins. You thought we were saying clichés to keep our feet on the ground, but we weren’t. 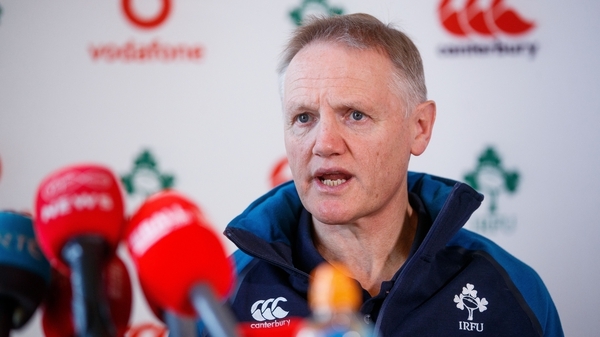 "We know Test rugby is decided by a couple of decisions and moments, if you don’t make a mistake and they don’t score, it can be a very different game. Rob Kearney, Chris Farrell, Sean O’Brien, Jack Conan and Quinn Roux all come into the XV and while there has been lengthy discussion outside the camp of team selection and positional switches, Schmidt is confident in the match-day 23 squad’s ability to get the job done. So too is his on-pitch lieutenant. "Sometimes when you have a loss like we did, it’s great to have the same team going out because we are all in the same boat and hurting, but there are changes and we all have to get on the same page," Sexton said. "We had a few extra meetings to make sure those small details and errors that crept in don’t happen again"
"We ironed out some of them and we had a few extra meetings to make sure those small details and errors that crept in don’t happen again." Sexton admitted that heads were down on Sunday and Monday, but this weekend’s game has brought about a change in focus. In-depth coaching meetings have taken place and there is now a pep in the step. 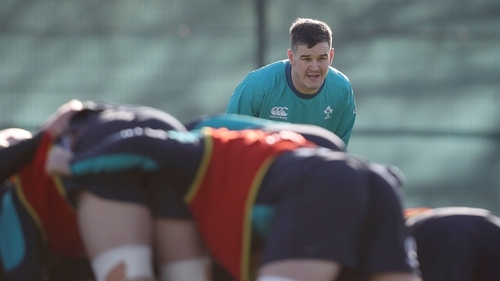 Still, for the likes of James Ryan, Jordan Larmour, Jacob Stockdale and Josh van der Flier, it is a rare setback in green for the aforementioned quartet. Did they need more support to bounce back from the loss? "We have got excellent coaches, they don’t need me adding to it. As someone in the leadership group, we try to get together to sort things out, but in terms of putting an arm around the younger guy's shoulder, I don’t think they need it. "I don’t think one game where maybe a couple of guys made mistakes effects them and they will bounce back." "Scotland are going to be gunning for us after last year"
A defeat on the last visit to Edinburgh will serve as a timely reminder of what the Scots will bring and Sexton is expecting a fired-up home side to test the mettle of the visitors. "Scotland are going to be gunning for us after last year. They are top of the table and looking at championships and Triple Crowns, but we just have to concentrate on this weekend."